Our Lavender Foaming Hand Soap makes washing up fun and easy for the whole family. With the same essential oils and hard-working ingredients found in our Liquid Hand Soap, one pump is all you need for clean hands. Our Apple Foaming Hand Soap makes washing up fun and easy for the whole family. Our Lemon Verbena Foaming Hand Soap makes washing up fun and easy for the whole family. Our Watermelon Foaming Hand Soap makes washing up fun and easy for the whole family. 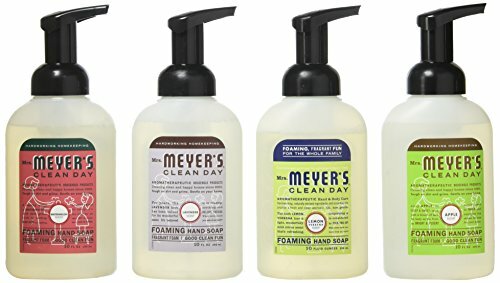 Try all four scents of Mrs. Meyers' Foaming Hand Soap! Gentle soap made with plant-derived ingredients.